Receiving a diagnosis of cancer is terrifying—and you may feel like there is little you can do. But Dr. Poothullil explains how many cancers are survivable. Surviving Cancer will give you renewed hope and a clear program of dietary and cognitive/emotional changes that can help you defeat your cancer and return to health. This book is for anyone who is currently diagnosed with cancer and cancer survivors who want to ensure they do not develop it again. After 20 years of studying the research on diabetes, Dr. Poothullil explains in this book that insulin resistance does not make biological sense. Instead, he shows how a normal body metabolism can go haywire when you overconsume grains, leading to high blood sugar and diabetes. If you avoid eating grains as much as possible, you can lower your blood sugar and halt the progression of diabetes. In this way, diabetes is lifestyle and dietary condition, not a hormonal disease, that you can reverse in as few as 8 weeks. 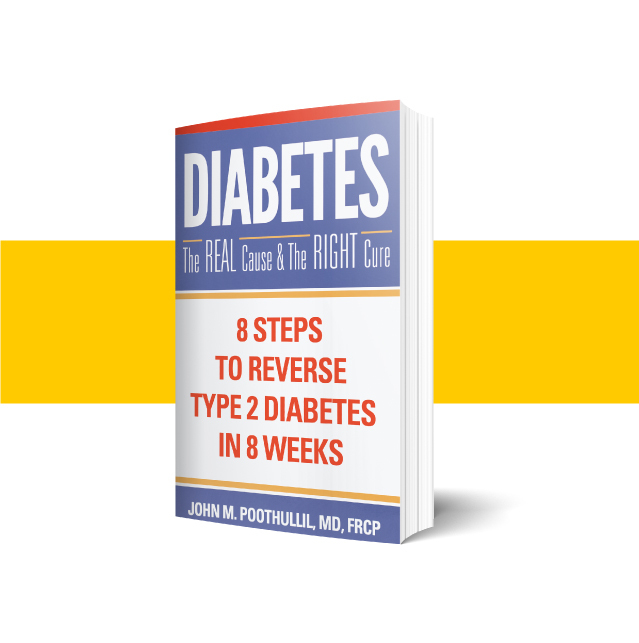 Take control of your diabetes and read this life-changing book. 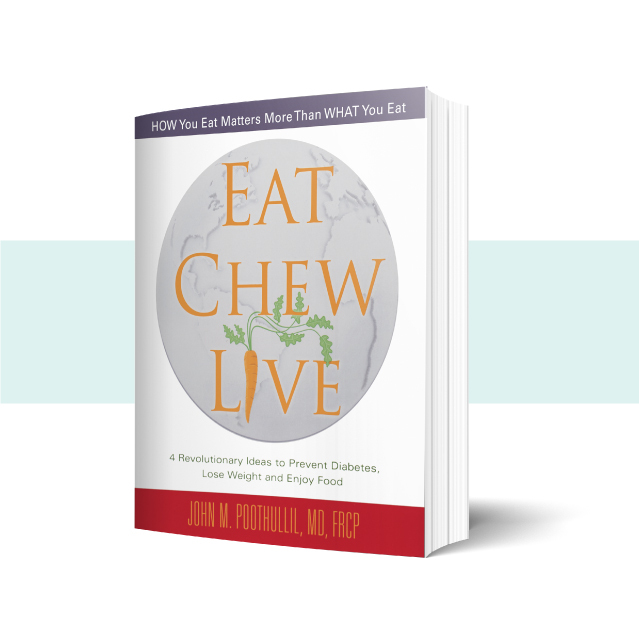 In Eat Chew Live you will learn how to change your approach to food and eating – to ensure that you can prevent diabetes from happening to you. Dr. Poothullil explains how the mysterious development of “insulin resistance” is an incorrect theory on the cause of diabetes and explains in clear terms how grains cause you to produce an oversupply of glucose that your body cannot use, leading to weight gain and eventually high blood sugar. Preventing diabetes is entirely possible – read how and why. John M. Poothullil, MD, FRCP practiced medicine as a pediatrician and allergist for more than 30 years, with 27 of those years in Texas. During his medical practice, John became interested in understanding the causes of and interconnections between hunger, satiation, and weight gain. In this process, he recognized a new insight about Type 2 diabetes that shows that it can be prevented and even reversed. 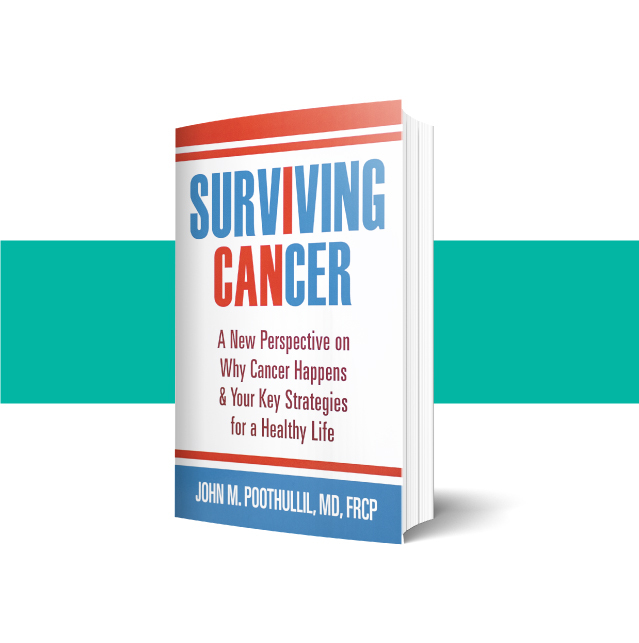 As an advocate for public health, Dr. Poothullil has devoted 20 years to studying diabetes and cancer and has written 3 books, all available on Amazon and in many bookstores. He has also published multiple articles on hunger and satiation, weight loss, diabetes, and cancer. His articles have been published in medical journals such as Physiology and Behavior, Neuroscience and Biobehavioral Reviews,Journal of Women’s Health, Journal of Applied Research, Nutrition, and Nutritional Neuroscience. His work has been quoted in Woman’s Day, Fitness, Red Book and Woman’s World.